Since May, the Connected World Market Insights Series has been investigating opportunities that are being unlocked in the era of big and open data, enabled by information and communication technologies (ICT). As part of this series, a report on connected mining will be released in November, exploring the opportunities and barriers that startups will face in this sector. This blog sets the scene. Read the report here. Integrated automation and control systems in the mining and energy resource industries have the potential to address the need for long-term cost reductions and increased levels of productivity and efficiency. Capitalizing on these opportunities, Canadian startups have been forging new tracks through these complex and resistant industries. While there are prospects for revolutionary change in these industries, the system is so complex that aligning with the right partners is crucial. In many ways, heavy industry has led the development of connected technology systems. Supervisory control and data acquisition (SCADA) systems and programmable logic controllers (PLCs) have been deployed to control fixed plants and monitor productivity since the 1970s. In the 2000s, open access protocols and integration with Internet-based software have come to the fore, leading to advances in consumer device and energy management connectivity. 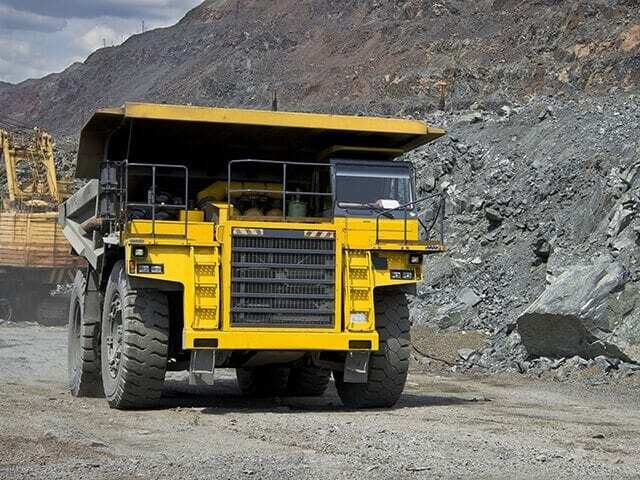 However, with the focus on production maximization, the mining industry has fallen behind in its technology uptake. As leading-edge technology sectors move into the new world of the Internet of Things and big data, so too must resource industries. Risk reduction and increased productivity are the key goals of the energy and mining sectors. These sought-after gains will be realized through the implementation of up-to-date technologies in asset utilization, process optimization, incident prevention and environmental compliance. Resource industries are very complex and have very long project timelines. They often fall back on traditional behaviours and prefer an economic climate that favours short-term profits. These conditions create numerous, although not insurmountable, barriers for the implementation of innovative technologies. For example, mining technology. Indeed, we argue that it is inevitable that resource industries will use more connected hardware and software to continue to improve efficiency and maximize productivity. The key is finding the right partnerships and implementing the kinds of technology that will endure in the industry. The challenge is for technology vendors to prove their worth in advance. As demonstrated in the other Connected World Market Insights Series reports, IoT solutions will be connecting data sensors to communications, remote controllers and data analyzers, models and automated responses, interfaces and reporting capabilities. For most vendors in this space, this means having a product that fulfils a segment of the IoT solution. manage the regulatory requirements of health, safety and environment. Again, the goal is to have everything run efficiently and effectively. Not only do their products have to be flawless, but vendors must also be aware that access into the marketplace is fraught. It is difficult to get a foot in the door in these industries without mining experience, deployed and proven technology, quantifiable successes and a supply chain strategy. Partnerships play a vital role and engaging with the networked players is an important step for all startups in the mining and energy resources supply chains in Canada. The IoT and mining industries are both growing fast. Is connecting them in Canada too tall a task? The macro-economics are largely favourable. Despite lower world commodity prices, the Canadian minerals industry still contributed $43.6 billion to Canada’s economy in 2013. Mining and extractive industries are growing faster (for gross domestic product contribution) than any other industry in 2014, and Ontario produces more mineral resources than any other Canadian province. In fact, Ontario is among the top 10 producers in the world for nickel and platinum group metals, and is a significant producer of gold, copper, zinc, cobalt and silver (About Ontario). We also know that the Canadian IoT industry is developing (and will continue to develop) almost 10 times as fast as the overall sector in the coming years, according to a recent report published by the International Data Corporation. In the mining sector alone, ICT spending was a $16.3 billion industry globally, and by 2018 it is forecast to reach $26.1 billion, according to another recent report. The IoT is undoubtedly the next evolutionary change for the ICT industry, and in Canada we’re well placed to benefit. Despite this, Canada is not on the bleeding edge for deployment of many connected mining technology solutions, as successful connected mining technology precedents exist for open-cut operations. Australian operations have already forged ahead with driverless trucks, real-time monitoring of productivity data and supervisory control of mining operations in Integrated Remote Operations Centres based more than 1,400 kilometres from the pit. The results for this technology deployment? In 2012, Rio Tinto reported 7 million tonnes per year in increased capacity and Fortescue Metals Group reported a $30 million cost savings in 2014 for their respective iron ore operations. There are more than just industry and market barriers for connected mining in Canada. The underground environment also plays a role in hampering technology adoption. Applying technological solutions in this environment presents significant difficulties in reliably gathering and communicating real-time data. To date, modelling has primarily been used to provide services such as ventilation underground and real-time productivity, and data on safety is scarce or non-existent. In our November report, we profile several Ontario companies that have the know-how and technology for Ontario mines and the broader energy resource industry. In particular, Canada has industry-leading solutions tackling underground communications that will enable connected underground mining. Canadian innovators and companies are well placed to succeed in realizing productivity and risk reduction gains and to capitalize on the industry’s current needs.